Why study Computer Science & Engineering at the University of Washington? The UW’s Paul G. Allen School of Computer Science & Engineering (CSE) is where future leaders learn to design technology that solves problems and improves lives. The Allen School is recognized as one of the top computing programs in the world: we have passionate faculty, exciting research, great job prospects for our students, and a supportive community. Computers are the most flexible and powerful machines ever created. And while the field of computing constantly grows and changes, the core magic of CSE remains timeless: computer scientists and engineers educated at the University of Washington’s Paul G. Allen School build solutions that change the world. CSE is a broad field, and our courses cover a wide range of subjects. Our students start with the basics in our popular introductory programming courses — no prior experience required! Then they learn the mathematical foundations of computing; get hands-on experience building software and hardware; and choose advanced courses such as human-computer interaction, computer graphics and animation, artificial intelligence, machine learning, robotics, data science, natural language processing, computer networking, computational biology, computer security and privacy, and much more. Our courses range in size from 30 to 150 students, and they get increasingly collaborative and creative as you take more advanced courses. CSE is also highly interdisciplinary: with courses from more than 150 UW departments and schools to choose from, you will have ample opportunity to explore all of your interests! Our professors are great teachers who make student education their first priority, and they’re world-class researchers at the forefront of their field. Our faculty regularly earn top scores in the College of Engineering’s student course evaluations, so you can be confident you will learn from the best. They also work with student researchers who want real experience creating new technology. Tech industry: Most of our alumni work at tech companies in Washington after graduating, from large tech titans to the smallest startups. More than 100 companies attend our Autumn and Winter career fairs to recruit CSE majors. If you’re interested in working in tech, this is one of the best places to prepare! Graduate school: Around 10% of our bachelor’s graduates enroll in our combined bachelor’s/master’s program before going into industry, while others go to Masters and Ph.D. programs at other top universities. Alumni also pursue graduate school and research in other areas, from business to biology. Other careers: A Computer Science or Computer Engineering degree can take you many places! Our graduates work in education, the arts, law, and countless other areas. Whether you directly apply your technical skills in a position at a tech company, or contribute your knowledge of computing and creative problem-solving to a different industry, your Allen School education will prepare you to excel in a variety of careers and make a positive impact in the world. Our students have a variety of opportunities to gain hands-on experience and develop their leadership skills. They work on research with professors, study abroad around the world, pursue internships at leading companies, mentor their peers, and teach younger students about computer science through our K-12 outreach programs. The student-run chapter of the national Association for Computing Machinery (ACM) provides social, academic, and career support to Allen School majors, while our Student Advisory Council serves as the collective voice of undergraduates and offers programs supporting wellness, diversity, and the social good. 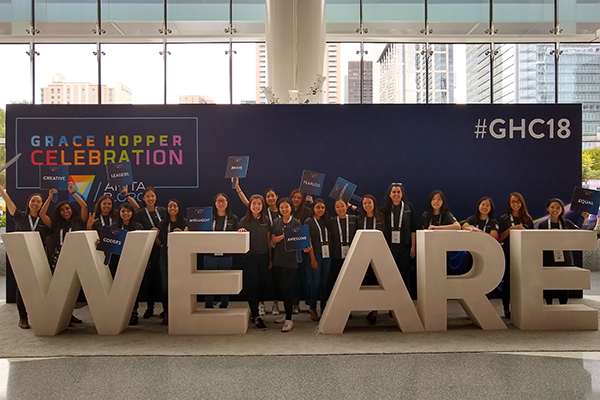 Our ACM-Women chapter advances diversity and inclusion by cultivating a community that empowers women and other students to build their technical skills and enhance their future career opportunities. ACM-W is open to all students, as is Q++, a student organization that brings together LGBTQ individuals and allies to provide representation and foster a supportive community. Allen School students participate in extracurricular activities across the UW and beyond, including student government, the performing arts, and religious and cultural communities. Our students also contribute their time and expertise through tutoring and volunteer work at nonprofit organizations. There has never been a more exciting time to explore computer science and engineering at the UW! 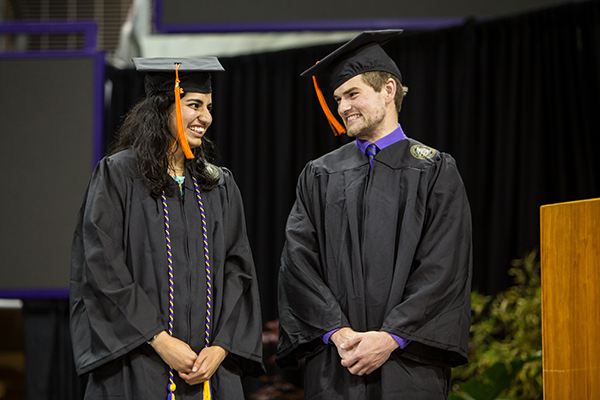 Shariya Ali, Simplicio DeLeon, and Dilraj Devgun are first-generation college students who are well on their way to academic success. Shariya, a CS major, serves as a member of the CSE Student Advisory Council representing the voices of undergraduate and master’s students on issues ranging from diversity and social responsibility to student wellness. She arrived at UW by way of the San Francisco Bay area, where she was born after her family immigrated to the United States from the Fiji Islands. Simplicio is a junior from Harrah, Washington who is majoring in CE. He is an alumnus of the Washington State Academic RedShirt (STARS) program, which helps first-generation students and those from low-income and underserved backgrounds to navigate the transition to college-level coursework. Dilraj, who is majoring in CS with a minor in Mathematics, served as a teaching assistant for our introductory courses and pursued systems research alongside Allen School professor Tom Anderson. Originally from Bracknell, England in the United Kingdom, Devgun has also lived in Canada, Florida and Georgia. CS major Christine Betts exemplifies the creativity and academic excellence that are the hallmarks of Allen School students. She also embodies our commitment to service, embracing the role of peer adviser to help her fellow CSE students succeed and volunteering with organizations such as Big Brothers Big Sisters. Betts’ achievements have earned her the Allen AI Outstanding Engineer Scholarship from the Allen Institute for Artificial Intelligence and a feature in GeekWire’s Geek of the Week. After Harrison Kwik enrolled at UW to study CS, he took on the role of teaching assistant for the Allen School’s transfer student seminar to help new arrivals from community and technical colleges around the state to settle into the major and make the most of their Husky Experience. Harrison knew firsthand what these students are going through, having arrived as a transfer student himself from Bellevue College with plans to eventually pursue his Ph.D. after graduation. 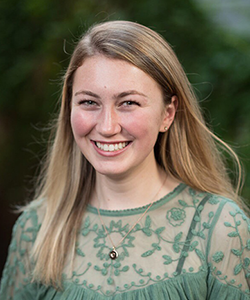 CS major Hannah Werbel from Sammamish, Washington was named a Freshman Medalist as part of the UW President’s Medalist awards for her academic performance and extracurricular involvement. 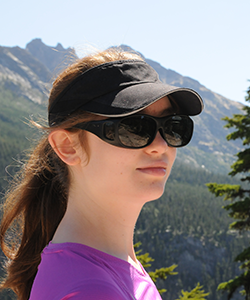 In addition to her role as a teaching assistant for the Allen School’s introductory programming courses, Hannah has dedicated her time to serving as a student assistant at the UW’s DO-IT Center, a member of the Husky Marching Band, and president of the Washington Association of Blind Students. Johan Michalove from Bellevue, Washington combined CS with a major in Philosophy. 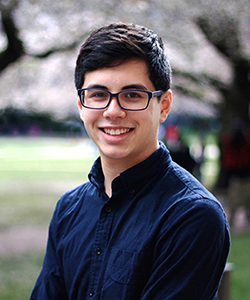 A former chair of the UW campus chapter of the Association for Computing Machinery, Michelove expanded his horizons through a software engineering internship at NASA's Jet Propulsion Laboratory. 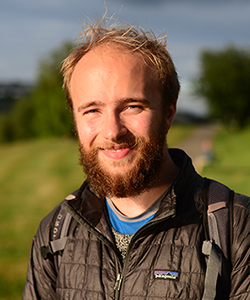 From his experience tutoring high school students in his spare time, Johan has developed his own philosophy when it comes to teaching: help students to not just succeed on a test, but to develop a lifelong love of learning. Mitali Paleka arrived at the Allen School from Cupertino, California after having spent a portion of her childhood in Mumbai, India. 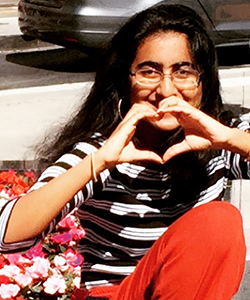 Mitali had the opportunity to apply what she learned as a CS major by contributing to research projects in the Allen School’s Security & Privacy Research Lab. 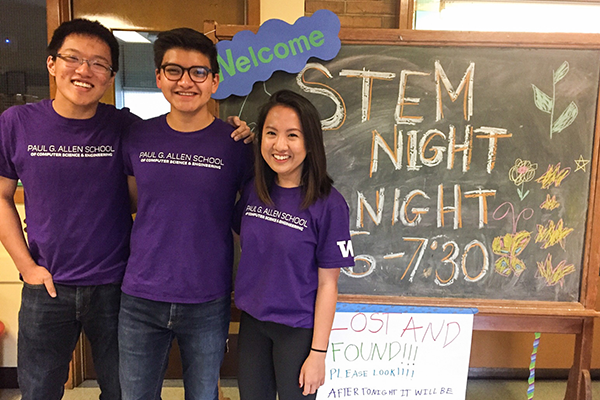 She also wholeheartedly embraced and amplified the Allen School’s commitment to diversity in her role as vice president of community outreach for the UW Society of Women Engineers and her work with UW Girls Who Code.